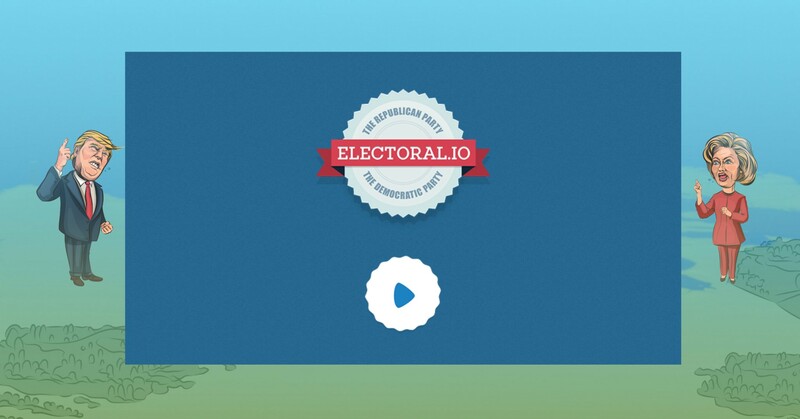 Electoral.io is a multiplayer 2D action game which gives you the opportunity to play as a member of one of two biggest political parties in the USA in order to win the presidential election. The goal is to become the biggest player on the map by collecting votes, likes and money and by consuming members of the opposite party. Your success will affect the result of the whole party. So if you want a victory for your team, you shouldn’t forget about your allies.